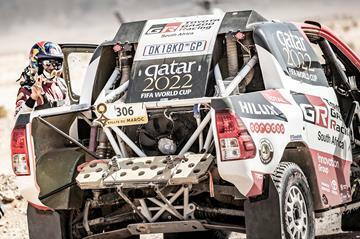 The spoils at the 2018 Rallye du Maroc have been snapped up by a pair of offroad racers on course for more success at the upcoming Dakar Rally. Sand racing specialist Nasser Al-Attiyah was in magnificent form all week behind the wheel of his Toyota Hilux to win the car category. Top honours in the bike race have gone to Toby Price as he escaped the attentions of a fellow Red Bull KTM Factory Team biker. 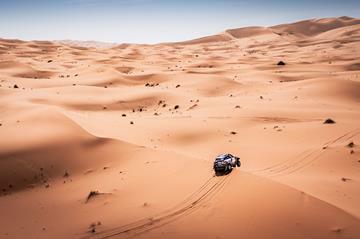 Qatari racer Nasser Al-Attiyah and French co-driver Mathieu Baumel have concluded their Dakar preparations in the best possible way. 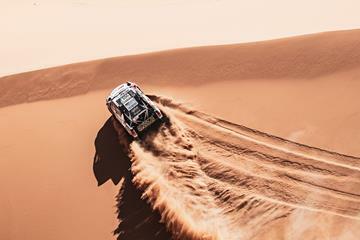 The duo’s win hands Al-Attiyah his fifth consecutive Rallye du Maroc success as he now looks to plot a course to victory at next January’s Dakar. Polish driver Kuba Przygonski and his Belgian co-driver Tom Colsoul had to settle for the runners-up position in Morocco, but they still have plenty to celebrate. 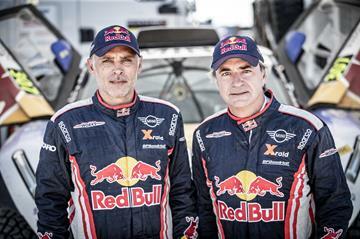 The pair’s result was enough to see them crowned 2018 FIA Cross Country Rally World Cup champions. Winning this prestigious championship will see the MINI John Cooper Works Rally crew installed as among the favourites to taste glory at the Dakar. There was also a place on the podium for the X-raid MINI JCW Team on their first competitive outing. Frenchmen Cyril Despres and Jean-Paul Cottret recovered from a navigation error in the middle of the race to recover their spot in the overall rankings. The second MINI John Cooper Works Buggy in the race in the hands of Spaniards Carlos Sainzand Lucas Cruz recovered from mechanical issues to win the fifth and final stage. 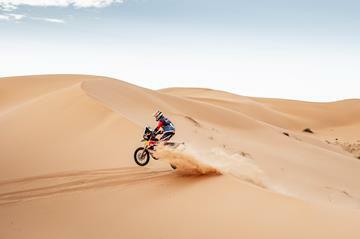 In the bike race a display dominance on the dunes from the Red Bull KTM Factory Team brought home the big prizes. 2016 Dakar winner Toby Price of Australia has two new trophies after his trip to Morocco. His win at the Rallye du Maroc has helped him secure the 2018 FIM Cross-Country Rallies World Championship. 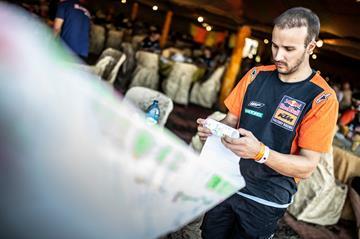 Price’s KTM team-mate Matthias Walkner of Austria finished second overall after pushing his fellow Dakar winner all the way. The third member of the team, British biker Sam Sunderland, can also be pleased with his performance after battling back from a rear wheel problem early in the race. 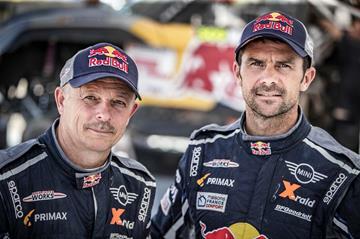 With race wins, world championships and podium positions achieved in Morocco the mood within the Red Bull Desert Wings squad is sky-high going into the upcoming Dakar Rally. The action in South America gets started on January 6, 2019 with two weeks of desert racing scheduled to take place in Peru. We’ll be following the high-speed action every step of the way and can’t wait to see how the drama on the dunes plays out. 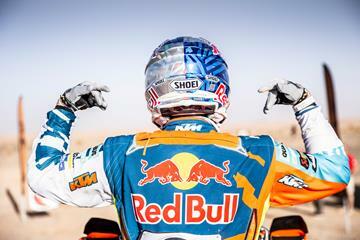 There’s more from our Red Bull Desert Wings on the Red Bull Content Pool here. 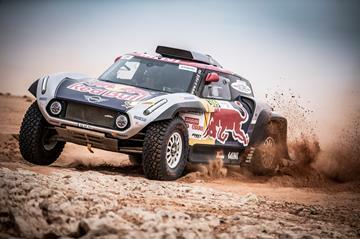 The BAJA RALLY Kicks Off!